In June 2015, Android One was reported as "a disappointment". However, it wasn't enough to stop Google and the search giant is back with the new range of Android One devices. Xiaomi launched its Mi A1 today, which is among the next generation of Android One devices. In June 2014, Google had announced 'Android One', a hardware reference design, for entry-level devices and the goal was to get the next billion people online by providing them with high quality, affordable phones. It was designed for consumers in developing countries and the first set of Android devices were launched first in India. 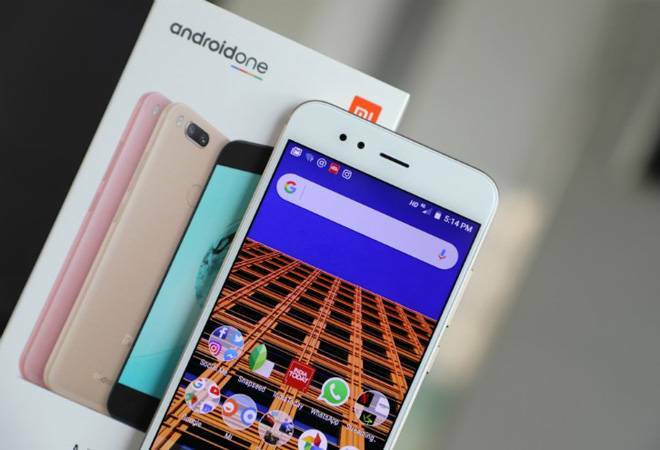 Micromax, Lava and Karbonn launched Android One devices, which had basic specs, but it wasn't an instant hit among the consumers. In June 2015, Recode reported Android One was "a disappointment". However, it wasn't enough to stop Google and the search giant is back with the new range of Android One devices. Google is once again trying to revive the Android One with a wide range of devices and not just entry-level phones. Google has teamed up with Xiaomi to launch Mi A1, which is manufactured by Xiaomi and powered by Google. Although launched in India first, the device will be available in a dozens of countries across Asia Pacific, Europe, America and Middle East and Africa. But this isn't the first Android One device in mid-range as in Japan, Y! Mobile has got S1 and S2 smartphone with 13MP rear camera and waterproof exteriors whereas General Mobile in Turkey is selling GM5 and GM6 with up to 128GB and 13MP rear camera. Jon Gold, Director, Partner Programs, Google, explained, "As phone manufacturers continue to innovate by delivering high quality devices at accessible price points, keeping the inside of one's phone innovative, fresh and secure is critical to a great experience. We're extending our commitment to Android One by working with more partners to build phones that run a software experience designed by Google." Google refers Android One as Android at its best as it comes with a clean, simple design and your favourite Google experiences front and centre. It commits to a simple set of pre-installed apps that don't consume much storage space. Android One comes with pure Android OS minus any custom UI or unnecessary apps. They also come with Google Assistant built-in, wherever available. They also have unlimited storage for all photos and videos on the cloud. Android One phones get the latest technology and security measure apps, which have been pre-installed by the handset manufacturers. Shipping with the latest Android Nougat, these devices also receive latest version of monthly security updates, and a guaranteed OS upgrades as and when released by Google. Android One webpage also claims to feature best-in-class hardware for its price. Google's mobile operating system, Android, was first unveiled in 2007, sometime after Apple unveiled the iconic iPhone that changed the smartphone industry forever. Over the last decade, established players as well as new handset manufacturers have adopted the Android Operating System (OS) with Android dominating the smartphone space with a whopping 87.7 per cent market share, whereas Apple comes second with iOS having 12.1 percent (figures by Gartner).